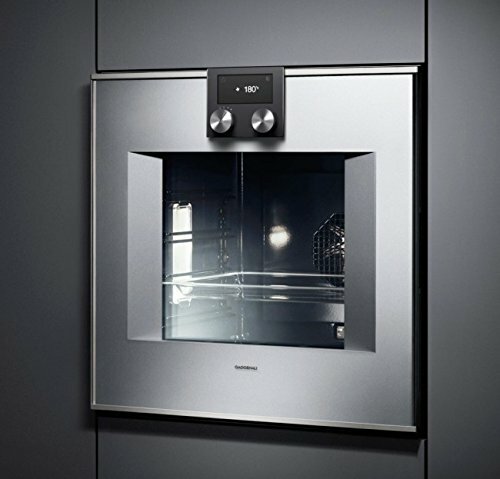 Handleless door / automatic door opening Pyrolytic system 17 heating methods, with core temperature probe, rotisserie spit and baking stone function TFT touch display Panel-free appliance with surface control module Electronic temperature control from 30 °C to 300 °C 76 litres net volume Energy efficiency class A Heating methods Hot air. Eco hot air. Top + bottom heat. Top + 1/3 bottom heat. Top heat. 1/3 top + bottom heat. Bottom heat. Hot air + bottom heat. Hot air + 1/3 bottom heat. Full surface grill + circulated air. Full surface grill. Compact grill. Baking stone function. Roaster function. Dough proofing. Defrosting. Keeping warm. Handling Automatic door opening. Rotary knob and TFT touch display operation. Clear text display in 25 languages. Option to save individual recipes (incl. core temperature probe). Information key with use indications. 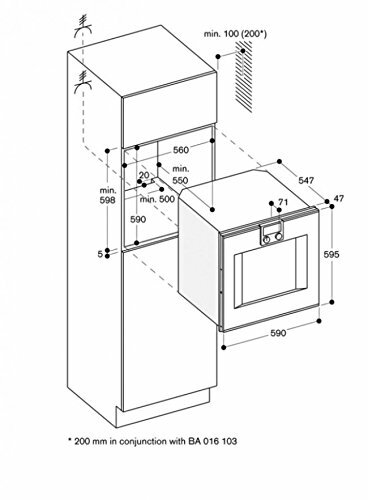 Side-opening door opens up to 180° angle. Features Core temperature probe with automatic shut-off. Rotisserie spit. Baking stone socket. Actual temperature display. Rapid heating. Timer functions: cooking time, cooking time end, timer, stopwatch, long-term timer. 60 W halogen light on the top. 2 x 10 W halogen light on the side. Enamelled side shelf supports with 4 tray levels, pyrolysis-safe. Safety Thermally insulated door with quadruple glazing. Child lock. Safety shut-off. Cooled housing with temperature protection.